Have you ever stopped to think about the universe of possibilities that, in the matter of decoration, the plasterboard designs offer? They are versatile, attractive and, above all, much more economical than other resources that you can consider when transforming the design of the rooms of your home. This type of panels allows you to form a multitude of creations, from unique walls to original storage solutions and false ceiling designs. 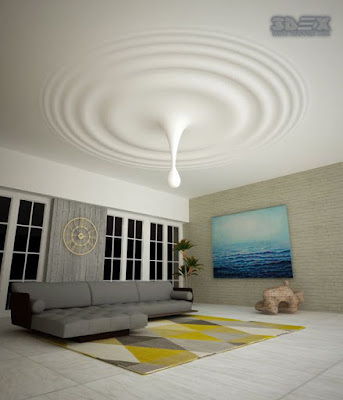 If you are determined to give a new air to your home but are not willing to invest a fortune, in this book of ideas we propose a catalogue of gypsum board design ideas that you will not be able to resist. 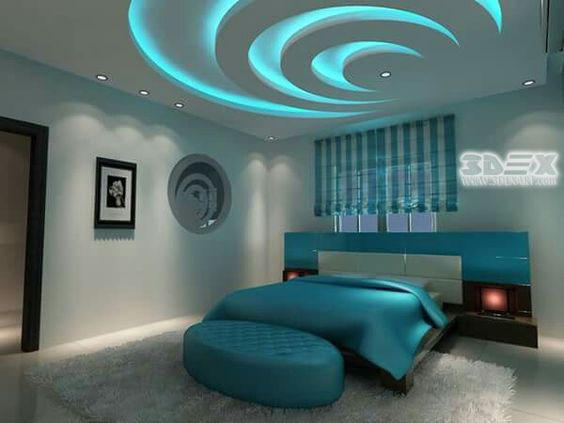 The ceiling is another of the options in which we can find a utility to gypsum board panels. As we have already seen on the walls, they allow realizing singular designs, this time, in height. 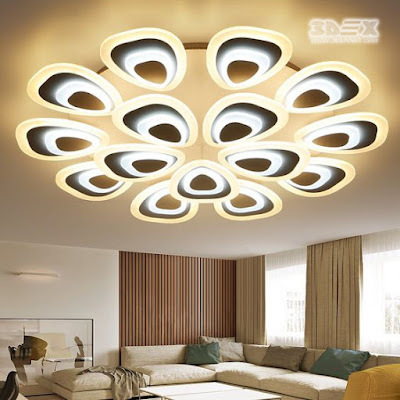 You can place these gypsum board false ceiling designs to make the lighting project for living rooms, bedrooms, bathrooms, and even kitchens, any space is likely to be improved with a resource like this. False ceilings are a common use of modern gypsum board designs. The lightness of this material, as well as a simple and uncomplicated installation, make it an ideal choice for those who favor simple and inexpensive solutions. This type of gypsum board ceiling designs provides extra space that you can take to give an original design to your interiors with attractive and unique lighting. 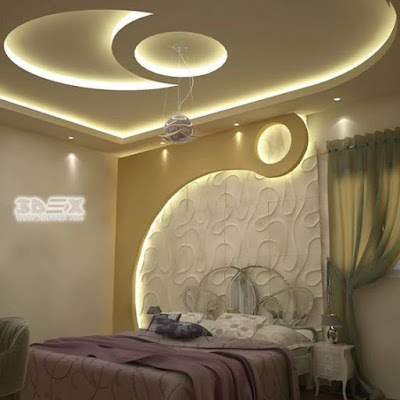 As we already mentioned, the use of gypsum board designs in false ceilings serves, in large measure, as a support for artificial lighting systems capable of conferring an overwhelming personality to a living room, bedroom and kid's rooms. In this case, the idea has been transferred to a house that, following the aesthetics of the open concept, that is, the integration of spaces, bets on a singular lighting for the living room connected to the kitchen, a succession of strips of light integrated into the drywall. The last of our proposals is a true decoration of cinema. In this case, we combine several of the ideas that we have seen throughout our article, from the placement of plasterboard on the ceiling, the use of sinuous lines through the integration of careful lighting. Simply spectacular! Are you one of those who seek to make a difference? Are you passionate about resorting to resources that are out of the ordinary? 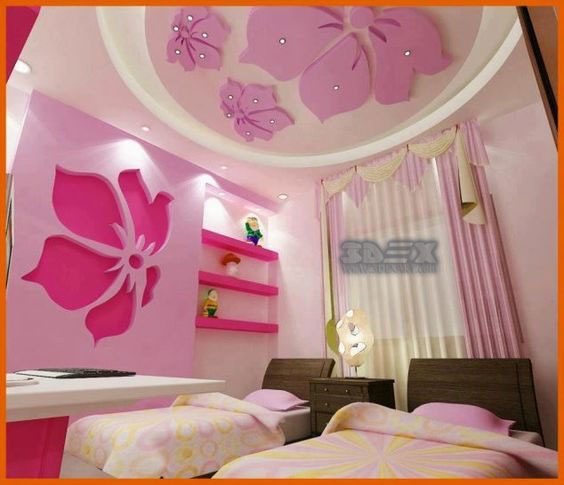 Then this modern gypsum board design ideas is what you need to complete the decoration of your home. No longer limited to the right angles, the versatility of this material makes it possible to bet on impossible ways that add an extreme singularity to spaces. In this case, it is a wall that resorts to the sinuosity of the curved lines giving the environment a very particular elegance. 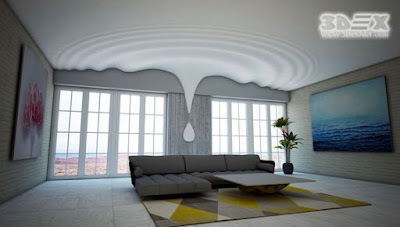 We have seen it as part of the decoration of walls and ceilings but the drywall can act independently. To use this type of plates to create gypsum board room dividers and partitions is a common practice. They are lighter than conventional walls and, thanks to their ability to adapt to all types of environments and circumstances, are especially suitable for dividing spaces without sacrificing many meters. The walls are a perfect stage to develop all kinds of decorative proposals. Beyond the color chosen to cover them or the placement of paintings, photographs and the like, they are able to absorb the new tendencies of the interior design and create original decorative solutions and full of personality. 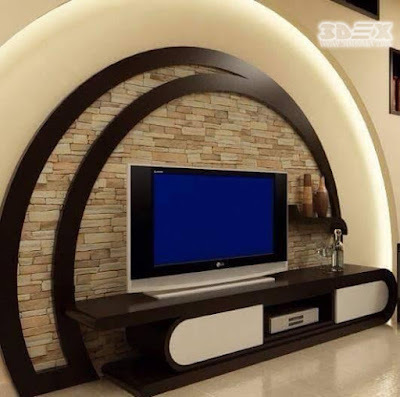 The niches are a trend of fashion and giving them shape with gypsum board wall designs will not only be simple, but very attractive and unique. 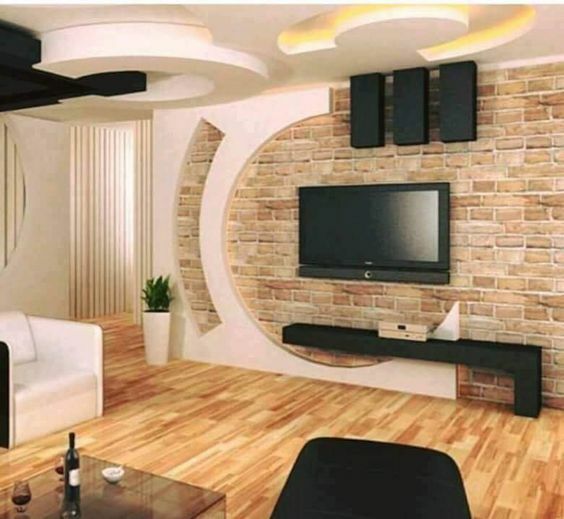 One of the advantages of using plasterboard designs for walls is that you can mimic them with the wall on which they settle, making it a highly recommended low-cost decoration solution. You can choose the shape and dimensions that you want to place on your walls and give life to visually striking proposals like the one we see in the image. This protruding wall incorporates a LED wall lighting system that highlights the beauty of an unconventional resource. Here is the opposite example and is that if we used to refer to the versatility of modern gypsum board design options, it is still true that they are specially prepared to create environments dominated by lines and right angles. If you have made geometry the hallmark of your home decor, a decided bet to introduce nuances with plasterboard will give your interiors an undeniable added value.